Stitchers 1x10 "Full Stop" (Summer Finale) - The Stitchers team is on the defense when Cameron and Detective Fisher are targeted in a shooting. Kirsten's stitch leads them to Robert Barbiero (guest star Henry Rollins), a security expert who has worked with Maggie in the past and was close to Kirsten's mom. As Kirsten follows the clues that Ed Clark left her, she finds unexpected answers to long-held questions. Meanwhile, Linus is jealous when Cameron starts training Camille to be his back-up in the Stitchers lab. Falling Skies 5x06 "Respite" - Injured, Tom takes refuge with a unique family who has distanced themselves from the fight, giving him a glimpse of life without war. 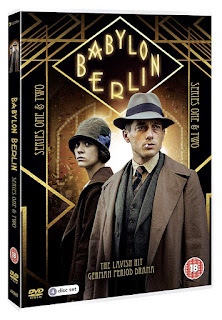 Hal and Isabella's romance grows as they search for a missing Tom. Meanwhile, The 2nd Mass locates an Espheni device that could be a linchpin to winning the war... if they can figure out how to use it. And Maggie makes a decision that has consequences for her and the entire 2nd Mass. The Dark Swan rises in a new season of One Upon a Time. Season 5 premieres Sunday September 27th on ABC! Littlest Pet Shop – Little Pets, Big Adventures is out on DVD from 3rd August 2015 and we have a great competition for you and 3 copies to give away. 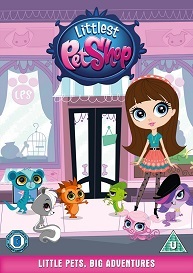 Littlest Pet Shop – Little Pets, Big Adventures is out to own on DVD and Digital Download 3rd August. Who is the eccentric owner of the Pet Shop that Blythe Baxter and her dad now live above? 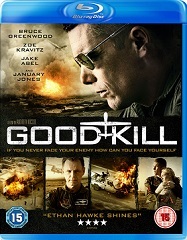 To celebrate the release of Good Kill - on DVD & Blu-ray from 3rd August 2015 - we have a copy on Blu-ray to giveaway courtesy of Arrow Films. From the creator of Gattaca and The Truman Show comes a tense and psychological journey into the morality of drone warfare. Ethan Hawke (Training Day, Sinister) stars as a fighter pilot who now battles with Taliban using just a joystick – but is he saving the world or making it worse? The film tell the story of a Las Vegas fighter-pilot turned drone-pilot (Ethan Hawke), who fights the Taliban via remote control for half of his day, then goes home to his wife (January Jones) and kids in the suburbs for the other half. But the pilot is starting to question the mission. Is he creating more terrorists than he s killing? Is he fighting a war without end? One soldiers tale with epic implications. Mr. Robot 1x06 "eps.1.5_br4ve-trave1er.asf" - Elliot attempts to hack Vera out of jail in order to save someone he cares about; Tyrell's 'game' gets crazy; and Angela digs deeper into her mother's death. Proof 1x07 "St. Luke's" - The team investigates a strange haunting at an old church. 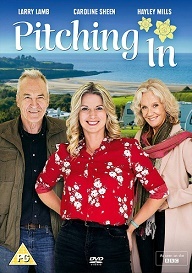 Carolyn gets an unexpected visit from her parents. Stitchers 1x09 "Future Tense" - The Stitchers team investigates the murder of an online psychic whose symbolic, layered memories are further complicated when Kristen sees the murder of another person in the stitch. Maggie expresses her reservations about Kirsten’s relationship with Liam. Meanwhile, Camille hesitantly agrees to meet Linus’s parents. The Whispers 1x09 "Broken Child" - Claire, Sean, Wes and Lena attempt to unravel the past of a man who first encountered Drill over 30 years ago, which could lead to a way to kill it -- before Drill finds a way to murder the man first, on “The Whispers,” Monday, August 3rd on ABC. Falling Skies 5x05 "Non-Essential Personnel" - The 2nd Mass leaves Chinatown en route to what they hope will be the final Espheni battle. 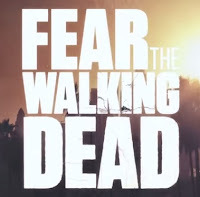 Along the way, they encounter a deranged and desperate gunman who takes Weaver hostage. Meanwhile, Tom sets off to rescue Hal from Pope and his dangerous group of survivors. Dark Matter 1x07 "Episode 7" - The crew finally gain access to the secret room in the ship's underbelly and among the items they find inside are a sunny android and a desperately ill woman who reveals a connection to Three. Defiance 3x08 "The Charge Blade" - Defiance is under siege; Nolan, Amanda, Irisa and militia defend the town; Stahma takes a trip. Wayward Pines 1x10 "Cycle" (Series Finale) - After Pilcher decides to turn off the electricity in Wayward Pines – with deadly repercussions – Ethan and Kate take the initiative to make sure everyone is out of harm’s way. Meanwhile, Nurse Pam confronts Pilcher on his decision and tries to convince him to reconsider, Ethan and Kate plan for an attack and the first generation tries to protect the future of Wayward Pines by taking matters into their own hands in the all-new “Cycle” season finale episode of WAYWARD PINES airing Thursday, July 23rd on FOX. Disney Princess Merida (“Brave") joins the cast of Once Upon A Time Season 5! Get your first look at actress Amy Manson in this exciting new role. OPTIMUS: South West Film and TV Convention is bringing together a whole galaxy of stars from Hollywood blockbusters, cult films and TV programmes to the seaside on 1st and 2nd August for an exciting new convention at Torquay’s Riviera International Centre. 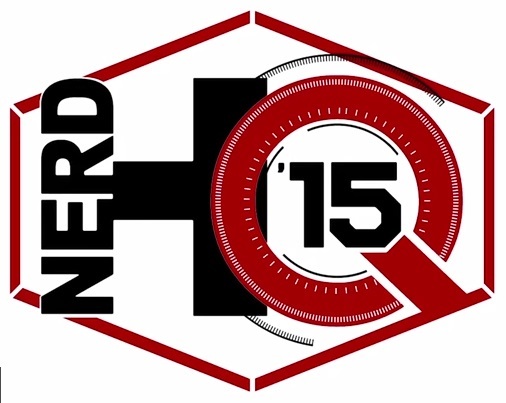 The weekend event is organised by A & R Events and Promotions giving fans a chance to celebrate their favourite shows and movies with autograph and photo opportunities, practical demonstrations, cosplay competitions as well as film memorabilia and merchandise from a wide range of exhibitors. Extreme martial arts action is provided by local celebrities The Edmund Sistas whilst fans of comics can also meet John-Paul Bove, Lee Bradley and Jess Bradley. Claire Bueno, BAFTA and Apple Store host and Premiere Scene presenter, will be conducting onstage Q&As with all the guests. Talks and workshops aimed at being fun for all the family include animators from AARDMAN ANIMATION who are giving fans a chance to build their very own Shaun the Sheep! For those wanting to take on the Imperial stormtroopers, Andrew Lawden is holding his renowned Jedi Fight Academy which is always popular with children. 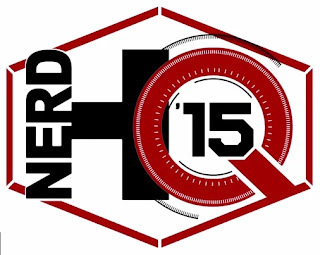 There is also a cosplay competition with a cash prize of £50 for the winning costume on each day. The convention is the brainchild of two film professionals, Anthony Bueno and Russell Palmer who intend to make this an annual event for Torquay which offers an ideal coastal location and an additional fantastical summer attraction. It is easily accessible by road with good rail and coach links just a short walk from the venue, Come and join a weekend of sun, sea and sci-fi! Proof 1x06 "Private Matters" - Carolyn investigates the case of a programmer who died while using a cutting-edge technology. Stitchers 1x08 "Fire in the Hole" - It’s Kirsten’s birthday and the Stitchers team is assigned to look into a disease researcher’s suicide. When the body begins showing signs that it is carrying a deadly virus, the whole lab is placed under quarantine. The team jumps to action as they search for a way out, racing against the clock as, one-by-one, they come down with symptoms of exposure. The Whispers 1x08 "A Hollow Man" - Claire and Sean track down a man who had his own deadly encounter with Drill — over 30 years ago, on “The Whispers,” Monday, July 20th on ABC. Falling Skies 5x04 "Pope Breaks Bad" - A mission to procure vehicles and fuel goes awry; Cochise shares troubling news with Anne. 'The Expanse' follows the case of a missing young woman who brings a hardened detective, and a rogue ship’s captain to expose the greatest conspiracy in human history. 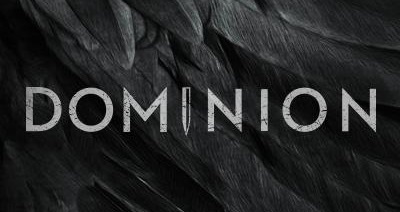 Coming to Syfy in December 2015! This hour-long, ten episode series is based on the popular New York Times bestselling book series collectively known as The Expanse, written by Daniel Abraham and Ty Franck (under the pen name James S. A. Corey). Abraham and Franck will be show producers. 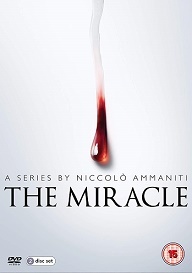 The multi-installment, best-selling book series is published in 17 countries, including China, France, Japan, Australia, Canada, Germany and the United Kingdom. One in the series, Leviathan Wakes, was nominated for a Hugo Award as well as a Locus Award, while “Caliban’s War” was nominated for a Locus Award. The Dark Swan shall rise. Once Upon a Time Season 5 premieres Sunday September 27th on ABC! 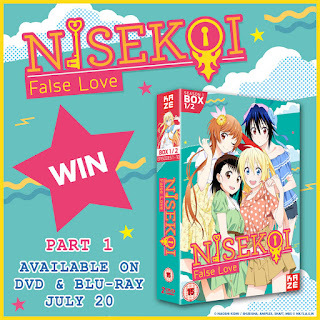 Competition: Win Nisekoi: False Love Season 1 Part 1 on DVD! Win a copy of Nisekoi: False Love Season 1 Part 1 on DVD! Raku's the son of a yakuza big shot. Chitose's the daughter of a rival mob boss. It's like Romeo and Juliet …except this Juliet would much rather kick her Romeo in the face. Stylish new rom-com Nisekoi: False Love sees the jokes flow thick and fast as we follow two classmates forced to pretend to be couple to keep the peace between their feuding gangster families. So funny, it's criminal. 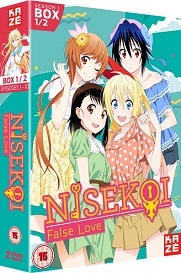 Nisekoi: False Love Season 1 Part 1 is out to own on DVD & Blu-ray from 20th July. Raku Ichijo just wants to be a normal high schooler, but things have suddenly got super complicated for the yakuza family heir. You see, he fancies sweetly shy classmate Kosaki Onadera, but his gangster dad insists that he go out with brash new transfer student Chitoge Kirisaki, herself the daughter of a mob boss, to prevent an all-out turf war breaking out between the rival gangs. Raku and Shitoge reluctantly agree to play along, but convincing a bunch of belligerent hoodlums that they're a lovey-dovey couple isn't going to be easy - especially as the hot-tempered Chitoge would far rather punch our hero than kiss him. And as if that isn't enough, ten years ago Raku promised a girl that they'd get married when they were reunited; a promise sealed when she gave him her locket. Only now he can't actually remember her name. Or what she looks like. 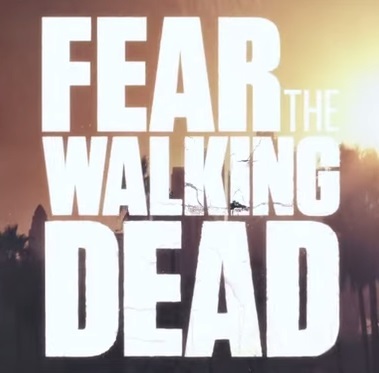 Get an early look at the all-new Season 6 before it premieres on Sunday, Oct. 11 at 9/8c. Dominion 2x02 "Mouth of the Damned" - With Gabriel in pursuit, Alex and Noma search for an ally; Claire befriends her assassin. Wayward Pines 1x09 "A Reckoning" - After Harold attempts to break past the fence surrounding Wayward Pines, Ethan interrogates him about other insurgents who have gone off the grid. Meanwhile, Amy’s (guest star Sarah Jeffery) health takes a turn for the worse, Nurse Pam encourages Theresa to investigate Plot 33, Ben’s teacher, Megan Fisher (guest star Hope Davis), advises Ben to speak publicly about the current events effecting Wayward Pines and Ethan reveals the truth about the town to the residents in the all-new “A Reckoning” episode of WAYWARD PINES airing Thursday, July 16th on FOX. Stitchers 1x07 "The Root Of All Evil" - Kirsten surprises the Stitchers team when they discover that she has a boyfriend, Liam, who shows up suddenly, prompting Maggie to covertly gather information on him. Meanwhile, a young woman's extravagant social life may be the clue to her death. The Divas aren't happy with how Eva Marie's getting her in-ring training. Wayward Pines 1x08 "The Friendliest Place on Earth" - After an explosion on Main Street leaves two key residents of Wayward Pines in critical condition, Ethan is determined to find out who is responsible for the horrific act. Meanwhile, Harold opts out of the covert operation he and Kate were planning, and Nurse Pam interviews surveillance engineers to find out if there are any workers responsible for falsely reporting activities of any Wayward Pines residents in the all-new 'The Friendliest Place on Earth' episode of WAYWARD PINES airing Thursday, July 9th on FOX. 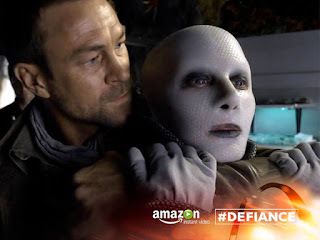 Defiance 3x06 "Where the Apples Fell" - When the Votanis Collective connection is exposed, Nolan and Berlin are in pursuit. Dark Matter 1x05 "Episode 5" - The crew are hired by their handler to salvage a seemingly deserted space freighter, a reclaim op that appears to be straightforward until a deadly cargo is uncovered and they are forced to fight for their lives. 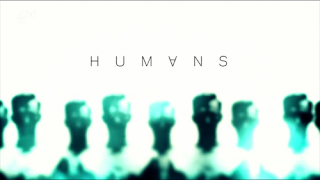 Complications 1x05 "Outbreak" - A gang shootout results in a flood of victims in the ER. 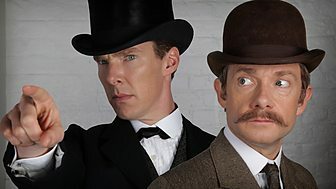 John tries to halt the escalating violence, but to succeed he must navigate rival gang members and the police. Meanwhile, Gretchen tends to the young woman who sparked the bloodshed.